New amenities, recurring festivities and historic narratives highlight boating enclave across the channel. CATALINA ISLAND — A group of people on a guided tour of Catalina Island’s interior heard their guide tell them most people come to Avalon seeking to get away from Los Angeles. The problem with such a notion, he said, is Avalon – and the whole of Catalina Island for that matter – is fully enveloped within Los Angeles County. So while people might be getting away from Los Angeles, they really aren’t out of the (urban) woods, so to speak. Of course Avalon, and the island in general, feels as if its more than 22 miles away from the U.S.’s second largest metropolis. Less than 5,000 people live on the island full-time, and while a steady wave of tourists might make portions of Catalina feel cramped and crowded, there are still plenty of opportunities to create some wide-open personal space. 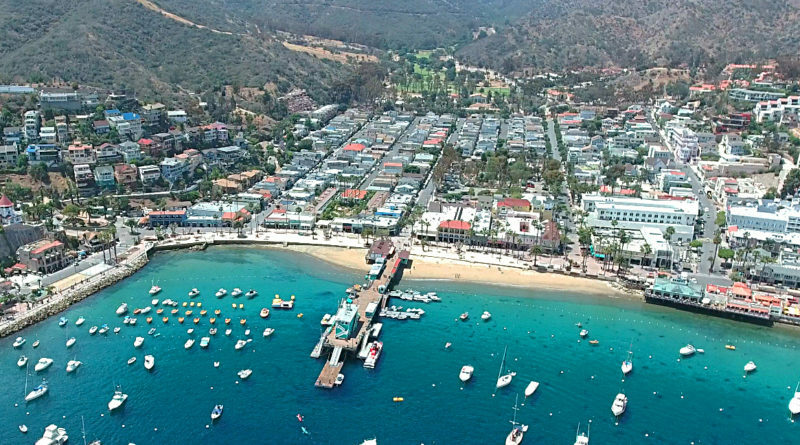 Catalina Island is obviously a major draw for Southern California’s boating community, with boaters from San Diego to Santa Barbara navigating across the channel to dock or drop anchor at Avalon Harbor, Two Harbors or any of the smaller coves and landings in between. Boaters, once docked or anchored, have the gamut of activities to explore on the island – assuming they actually want to get off their boat. Two Harbors, for example, continues to be a destination for camping, fishing, hiking and kayaking, among other outdoor activities. A new resort was recently introduced to the remote West End of Catalina Island, giving visitors an opportunity to experience a slice of the South Pacific lifestyle at Two Harbors. Meanwhile a new “elevated” experience was recently added near Descanso Beach, where boaters and island visitors can experience Catalina’s interior while walking high among eucalyptus trees. Those who enjoy hiking on the island would be pleased to know there are extended trails within the interior, providing more opportunities to explore Catalina’s diverse natural resources by foot. Food aficionados might want to visit Avalon in September, when a local Mexican restaurant will be hosting its annual Hatch Chile Festival. Avalon, being the island’s “hustle-and-bustle” destination, remains the go-to for modern amenities and activities. The city is home to several events, hotels, restaurants and shops, giving visitors the option to do anything from enjoying a fancy meal on the beach to relaxing at a spa to taking in some culture at the local museum. Catalina Island essentially has a little something for everyone. Our annual Catalina Island Issue delves in to a few things local boaters can experience when visiting Southern California’s local getaway. The guide also features a listing of upcoming events, resources for boaters to use once at the island, insight on local amenities and happenings, and a few dashes of history. And remember – no matter where you are on the island, you’re still in Los Angeles County (insert wink emoji here). Editor’s Note: Articles from our Catalina Island Issue will be posted online throughout the next two weeks, so be sure to visit thelog.com regularly for the latest coverage. While it might have something for everyone, the natives have out priced tourism for themselves. Using any online travel service, (or even the old-fashioned human travel agent), it’s easily more affordable to visit the Caribbean, Mexico, Hawaii, including a round trip flight! Perhaps that’s exactly what the native Catalina Island residents want. Less visitors that are willing to spend ridiculous sums of cash for a bottle of water or a room.